"We want to be taken on a journey. And the concept album is the audio equivalent." 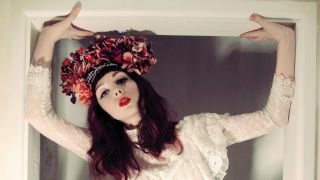 Catherine Anne Davies, aka The Anchoress, has predicted that 2019 will see the return of the concept album as a creative force. Speaking to the BBC about forthcoming trends in music, Prog Award-winning Davies, who released her own concept album, Confessions Of A Romance Novelist in 2016, says, "I predict that, for a generation of rightfully angry young people, music will more so than ever be looked to to 'make it cohere' (as Ezra Pound once said). The return of the concept album signals a broader cultural shift that has seen ideas about identity become increasingly exploded or fractured. "If 'modernity has failed us' then I forecast that in 2019 we will increasingly look back to a past that served us albums like OK Computer, The Wall, Sgt. Pepper and Ziggy Stardust, albeit in a new, more politically-tinged reincarnation. "While we are constantly being told that we now live in an age where people consume single-serve tracks on Spotify, the demand is clearly there for a deeper connection with artists who can create a world of ideas to explore. We want escapism. We want to be taken on a journey. And the concept album is the audio equivalent." Davies is currently putting the finishing touched to a second Anchoress album, which will explore themes of grief and loss, asking the question: what do we gain from loss?